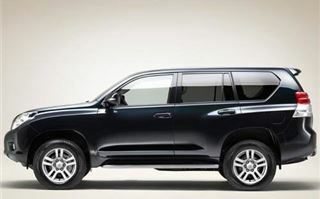 Toyota’s Land Cruiser LC is one of those niche cars that pretty much sells itself. 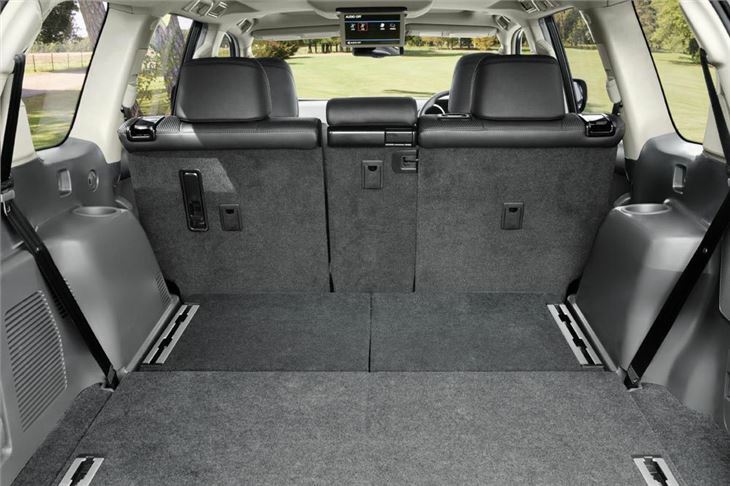 Every few years Toyota rolls out a new version, which refines the basic concept, which in recent years has been a mix of ruggedness, impregnable reliability and an ever-longer equipment list. Now it’s happened again, with the latest incarnation arriving in Britain with five doors, a 3-litre turbo diesel engine and an adaptive, five-speed automatic transmission, and a variety traction control devices to help it get through genuinely hostile terrain –and the higher up the £29,795-£44,795 price range you go, the more of these things you get. 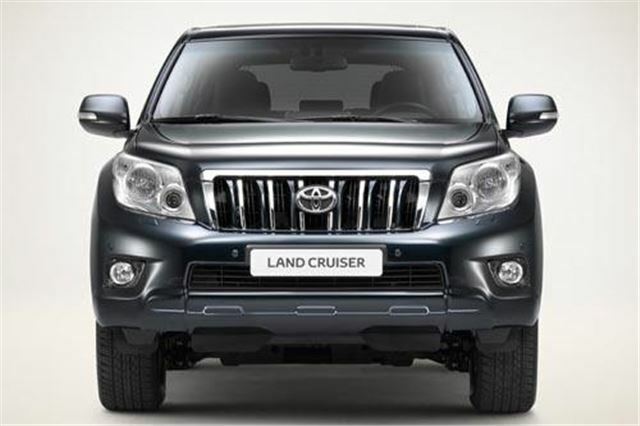 Slightly confusingly, Toyota sells two distinct Land Cruiser 4x4s; the other being a yet-bigger V8 diesel, but this car probably sells in the hundreds rather than thousands. Its re-incarnated smaller sibling looks new-but-familiar. 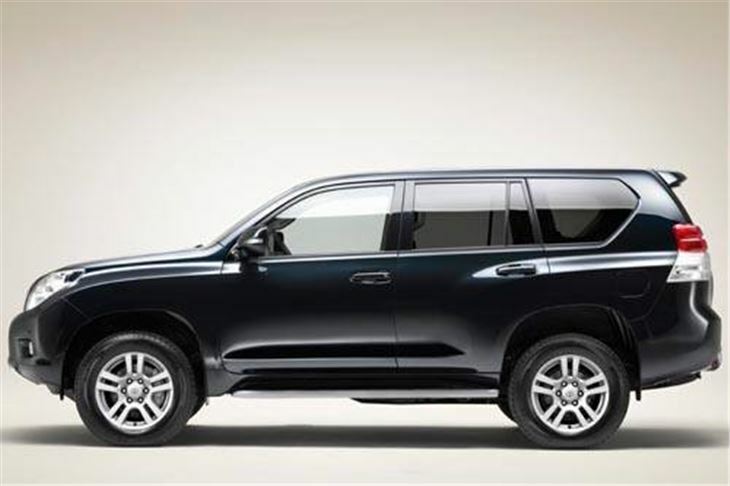 It’s slightly lower than before, and Toyota has worked to make its hefty, high body cleave the air more efficiently, claiming the result is greater refinement and better economy. This being a proper 4x4 it has a truck like, separate chassis frame on which the body has been attached. This is one reason why these cars are often used to lug horse boxes or big trailers, because it can tow a big payload about without damaging its structure. 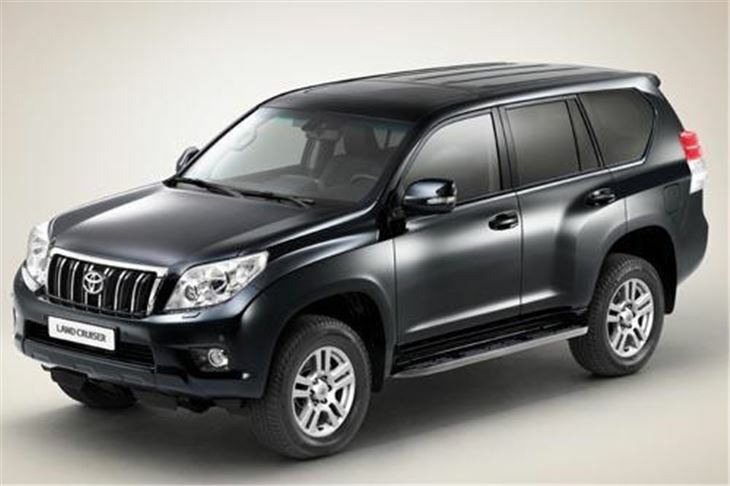 Despite this physical heft, Toyota also claims the Land Cruiser has been engineered to absorb the energy of colliding with smaller, lower cars without its girder-like sub structure acting like a battering ram. Toyota also says the car’s big, curved snout is designed to minimise injury if it collides with a pedestrian, with soft spots designed into it to absorb impact. 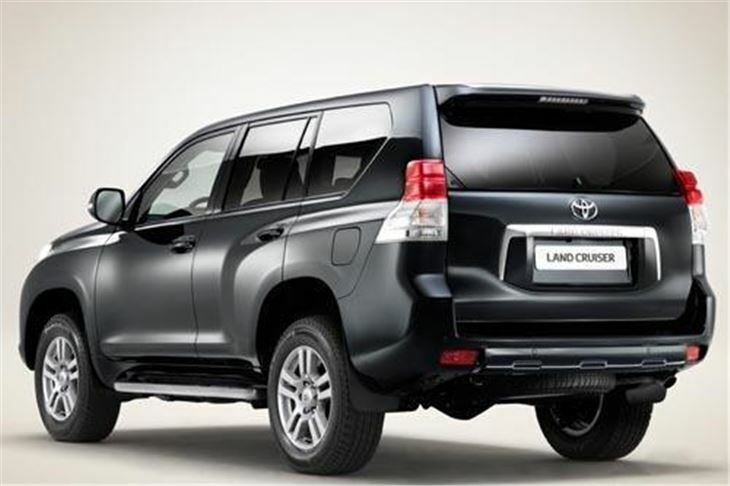 Given the Land Cruiser has been engineered for serious off roading, its chassis frame has been rounded off so that if the car’s underside smacks into the ground it can then slide over it rather than grind through it. The vehicle is suspended by independent wishbones at the front and a hefty rigid axle, held in place with a multitude of links at the back. It has acres of axle articulation, allowing its wheels to drop into huge ruts and dips, anti-roll bars with hydraulic controls, and in the costliest versions the suspension damping is adjustable. There’s a central, limited slip differential, and if you go for the top line LC5 model, the car has a four function, multi-terrain system which does all sorts of clever things with the traction control, anti lock brakes, suspension suppleness, etc, allowing the car to clamber about on surfaces that would tax an experienced hiker. Controlled by a centre console dial and steering wheel-mounted switches, it all works well. 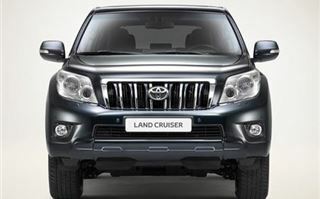 There’s also a crawl function to allow the Land Cruiser to negotiate precipitous, slithery terrain. The range-topping LC5 comes with a camera system that shows where the front wheels are pointing, and various views round the car. It doubles as a reversing camera and even works under water -a bit of a gimmick, but an effective one. All this off road competence does not equate to a tactile on road experience. The power steering is ultra light and rather lifeless, if accurate. The car rolls a fair bit, but goes where you point it. The ride is solid but not agricultural, and the engine, which sounds a bit gruff at idle, smoothes out, really quietening down on the move, and pulls cleanly and solidly from rest. 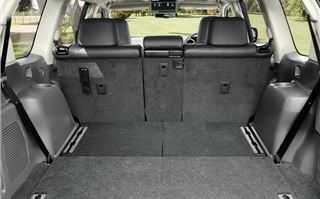 At motorway speeds a mix of tall gearing and a healthy dollop of torque, or pulling power, make the car feel easy going. 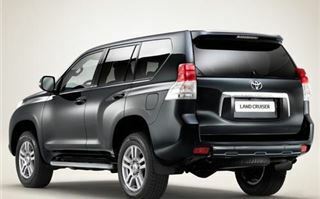 Toyota claims tight external panel gaps and the aerodynamic tweaks have also aided refinement, and there wasn’t a lot of wind noise, despite the Land Cruiser having to shove a lot of air out of the way. Further good marks can be had for the lack of road roar from the huge tyres, and all the extra mechanical bits needed to drive the Land Cruiser’s four wheels are pretty inaudible. As for the way it performs, consumes and emits, Toyota claims the car’s double overhead cam, 16-valve engine will get the car to 62 in 11.7 seconds, allow it to run up to 109mph, chuck out 214g of CO2 per kilometre and return a claimed combined mpg of nearly 35mpg. This last seems a bit optimistic, but not beyond the bounds of possibility if you’re reasonably light footed. Maximum torque of 410nm metres is produced at a stationary engine rev band of 1,600 to 2,800rpm. Occupants of the ballroom-sized interior (either five or seven, depending on the model) have a pleasingly commanding view, plenty of lounging room and are surrounded by a mix of utilitarian and plush trim materials that occasionally boarder on tackiness without quite suffering from the visual bling of some 4x4 interiors. This pretty much sums up the car. 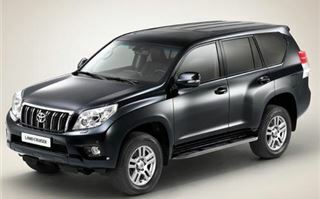 Perhaps because it has a reputation for never going wrong, and the UN like it, it has the aura of a thinking person’s working vehicle rather than a Chelsea tractor, although its equipment levels put at least one of the Land Cruiser’s Size 13s firmly in that camp. Still, people who liked its predecessors will like this one. Expect to see it in farm yards and building sites near you soon.